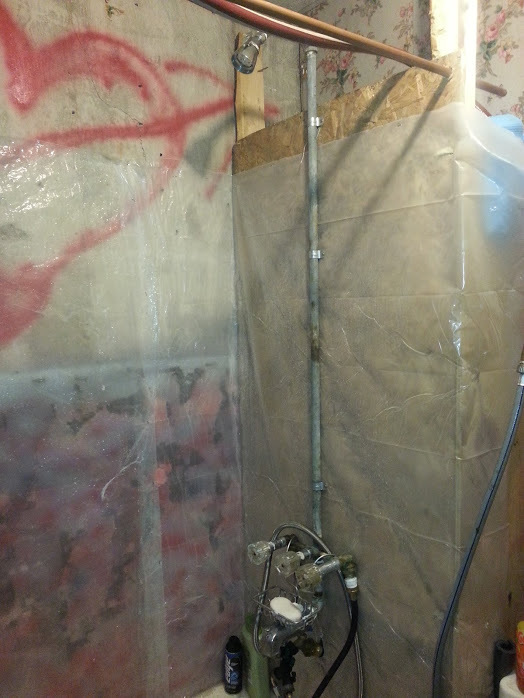 Well officially after a year, we have hot water and a working shower!! OMG the amazing advance of have hot water at the turn of a valve! 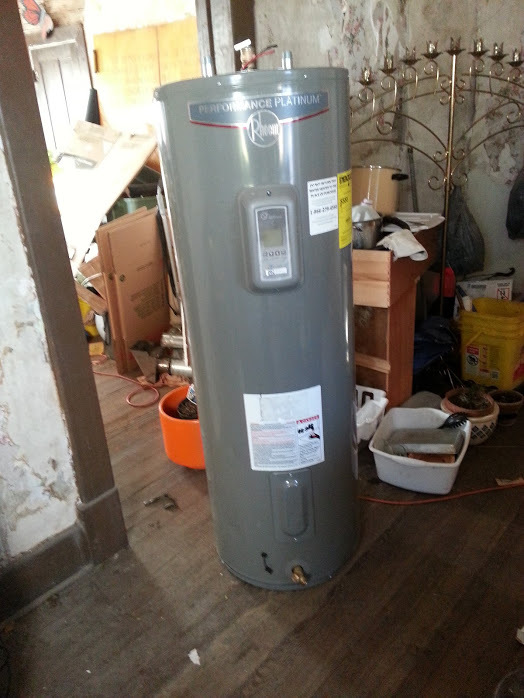 We got super lucky and found this 600$ Rheem electric hot water heater for 200$ because it had a few dents. It is brandnew, in the box and with the manual. Of course we had to drive to Kansas City to pick it up but we made it a fun outing! Of course at the moment we have it hooked up via water hoses and until we get 100amp service we can have it on all the time. Our shower is a mix of found parts, hooked together with washing machine hoses and a couple plumbing doo dads. 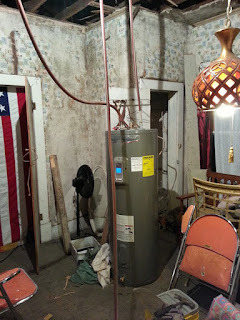 I refused to spend a ton of money on it, as we plan to renovate the bathroom to include our clawfoot tub and all that...So there is no point on spending money that will need to be tossed...plus it works great!